Hotel Colorado, Glenwood Springs, Colorado. When it comes to ghosts, I’m a skeptic, but I’m a skeptic with an overactive imagination. Therefore scary movies keep me up at night and staying in a haunted hotel can leave me with a racing heart and clammy palms. My most haunting ghost experience actually happened in college while I was living in a huge Victorian mansion in Bellingham, Washington. On three separate occasions, just on the verge of sleep, I saw what looked like wispy human forms drift through my room; a little boy and a woman. These incidents were not scary, but slightly disconcerting. 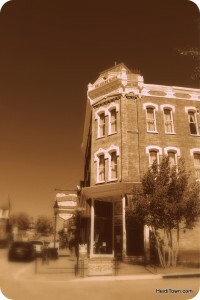 Not long after moving to Colorado in 2000, I stayed at the Hotel Colorado in Glenwood Springs. The first stay was uneventful, although I will admit that the hairs on the back of my neck stood up whenever I had to walk down the large, dark hallways at night. The next visit was during our anniversary trip in the mid-2000s. We had a small room at the end of the hallway. That night I woke with a start. It felt like someone had just sat on the end of our bed. My husband, Ryan, was snoring gently next to me, so I knew he hadn’t gotten up. I stayed as still as possible, holding my breath. The pressure at the end of the bid was akin to a cat having jumped up and settled down next to my feet – but way more frightening. Vintage Santa at the Delaware Hotel in Leadville, Colorado. I lay there for a long time, eyes tightly squeezed shut, not wanting to open them for fear of actually seeing whatever was “sitting” at the end of our bed. 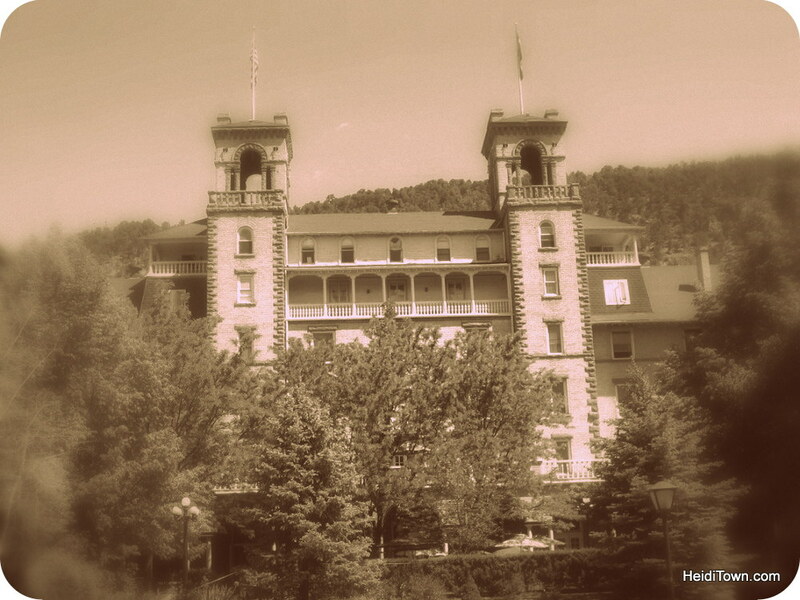 Whether my ghostly encounter was real, or a figment of my overactive imagination, it turns out that investigations have proven the Hotel Colorado to be a very haunted place and paranormal activity is most active between 2 and 4 a.m. In addition to smells, lights flickering and random knocks on doors, a small girl is sometimes seen playing with a ball around the property and occasionally the screams of a woman can be heard, believed to be a chamber maid who was killed at the hotel by a jealous lover. Learn more here. While staying at the Hand Hotel I was determined not to have ghostly experience and I did everything I could do to avoid it. You see, as soon as we checked in, we discovered that not only is this hotel haunted, every room has its own ghost. Paranormal activity is off the chart at this 1931 hotel, and it’s been visited by a number of investigators. Several write-ups and even YouTube videos are available online. Stories range from mischievous twin girl ghosts in the kitchen to a deranged demonic dog that haunts the hotel’s basement where aborted fetuses of “soiled doves” are said to be buried. We were staying in a room near Grandma Hand’s room, a very active place. Grandma Hand frequently haunts her old room and sometimes her rocking chair moves back and forth indicating that she’s home. 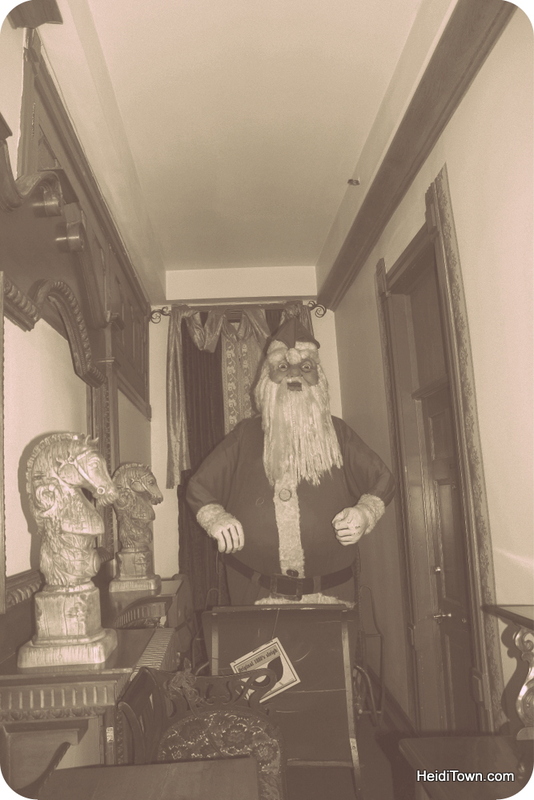 Because Grandma Hand’s room was unoccupied by any living soul during our stay, the door was left open, and because I had to go by this room to get to the stairway, I decided, much to the amusement of my husband, to run by with my eyes closed each time I was forced to pass it. I did not want to see an empty rocking chair moving, and had no desire to meet Grandma Hand in the flesh”¦ or should I say, in the spirit? The Delaware Hotel overflows with antiques and oozes historic charm, but I had a sense as I crossed the lobby last month, that this was not a ghost-free zone, and my sixth-sense was right. I didn’t know any ghost stories on our first night at the Delaware and I chalked up my restless night to the altitude. After all, Leadville is the highest incorporate town in the United States at a breathless 10,000 feet above sea level. The next day I learned from Leadville history expert Roger Pretti that we were staying in the most “ghost active” section of the hotel. Along with several other ghosts, a woman named Mary Coffey wanders the hallways of the Delaware. Mrs. Coffey and her husband were renting a room in the hotel when it was a boarding house. Mr. Coffey became jealous of the attention his wife was giving a sick friend down the hall, so he shot her in the back in 1899. Mrs. Coffey apparently never moved on, and appears around the hotel, but especially in the southwest wing of the second floor where her sick friend was said to have been staying. Let’s just say that the second night in our room on the southwest wing of the second floor of the Delaware was unnerving. Every creak and yawn of the 1886 building jolted my imagination into overdrive. I did not see Mrs. Coffey, but I may or may not have heard her. If you’ve had a haunted experience in Colorado or beyond, I’d love to hear about it! Leave a comment below. 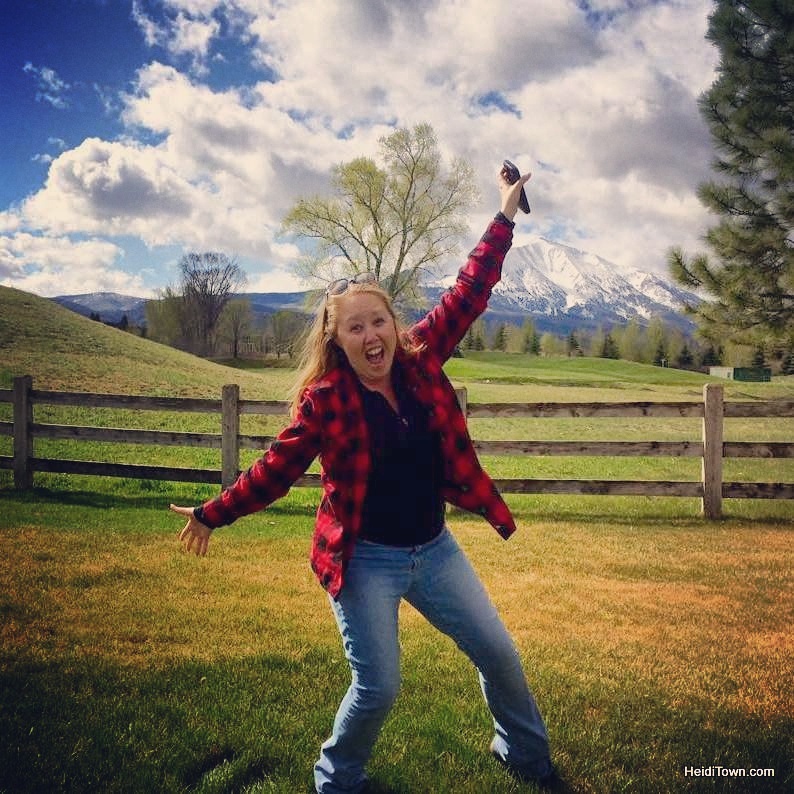 Great post featuring my two favorite towns in Colorado; Leadville & Glenwood Springs! Thanks for stopping by HeidiTown, Kathy! Leadville and Glenwood are certainly gems.